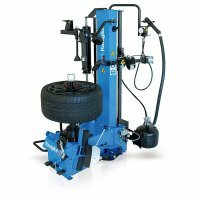 The RAV G102 SUPER DUTY is an electrohydraulic tire changer for trucks, agricultural and earth moving vehicles with rims between 14” and 57”. 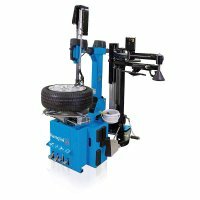 The dimensions and capacities are such as to ensure maximum efficiency for the entire range of tires. The two-speed rotation chucking table can accommodate rims up to 46” without extensions. It also features an adjustable pressure device to regulate clamping force. Rim Zero 11" - 42"
Rim Zero with G108A1 11" - 57"
Max Allowed Wheel Width 50"
Agricultural and earth moving machinery is some of the most expensive equipment you own or repair. 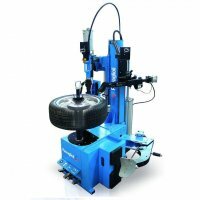 Why trust the replacement of the tires to anyone else but one of the most trusted names in the world - Ravaglioli. Call 1-877-RING-AET to speak with the professionals at AETechnologies today and find out how affordable it is to add a RAV product to your business.